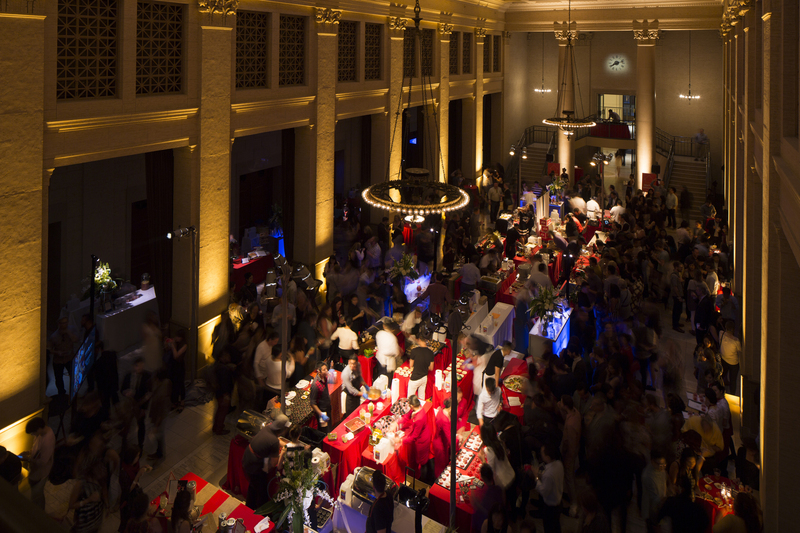 LuckyRice San Francisco Feast takes place at the Bently Reserve this Friday night. LUCKYRICE Feast takes place in San Francisco this Friday, June 24, from 8 to 10 p.m. for the general public ($88 per person) and 7 to 10 p.m. for VIP ticket holders ($150 per person). The festival features dozens of Asian nibbles, from simple milk tea to Burmese Kitchen’s Tea Leaf Salad, which includes fermented tea leaves, shredded cabbage, fried garlic, sesame seeds, assorted peas, sunflower seeds, peanuts, tomatoes and lime wedges. There will classic and contemporary cocktails, too. To view both the tasting and cocktail menus, visit the site here, where you can also buy tickets. If you order a copy of the Lucky Rice Cookbook, you’ll get a code for $20 off your feast tickets. Can’t make it to the city? Here’s a recipe for Classic Chinese Dumplings from the festival’s producers. Coarsely chop the cabbage, and then transfer it to a food processor. Pulse until the cabbage is finely chopped but not pureed. Remove the cabbage, wrap it in a clean kitchen towel, and squeeze it to remove any excess liquid. Transfer the cabbage into a large bowl and stir in the pork, scallions, garlic chives, garlic, soy sauce, and sesame oil. If you wish to taste for seasoning, poach or fry a small amount of the filling, and adjust the seasonings to your liking. Holding a dumpling wrapper flat in your hand, place 2 teaspoons of the filling in the center of the wrapper. Use your fingers to pinch pleats around the edge of the half circle. Repeat until all the filling is filled. Boil: Boiling dumplings is the most traditional way to cook them. To do so, bring a large pot of water to a slow boil. Add the dumplings and cook until they float to the surface. Then add about a cup of cold water. When the water returns to a boil, add another cup of cold water. When the dumplings float to the surface again, use a slotted spoon to remove them to a platter. Steam: Pour about 2 inches of water into a wide pot or a wok and bring it to a boil. Arrange the dumplings in a single layer in a bamboo steamer lined with the extra napa cabbage leaves or parchment paper. Cover the steamer place it in the pot (don’t let the water touch the dumplings), and cook at a low heat for about 5 minutes, until thoroughly cooked. Pan-fry: Heat a nonstick pan over high heat. Add 2 tablespoons vegetable oil and swirl it around; then add the dumplings in one layer without letting then touch. Cover the pan and cook over medium-high heat until all the water has evaporated and the bottoms are browned and crispy. Make the Dipping Sauce: While the dumplings are boiling, steaming or frying, combine the soy sauce with the rice vinegar, scallions, sesame seeds, and black pepper in a small bowl. Serve with the dumplings hot, with the sauce on the side. *Tip: if you are not cooking the dumplings immediately, freeze them for up to free months. To do so, place the dumplings on a baking sheet lined with parchment paper and freeze them for about an hour before transferring them to a sealed freezer bag.